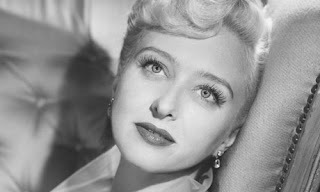 If you are familiar with Celeste Holm from movies or television, you probably know her as the sparkling sophisticate of "Gentleman's Agreement" or "The Tender Trap," the smart, savvy best pal in "All About Eve" or "High Society," the coolly sardonic voice behind "A Letter to Three Wives," or even the aristocratic matriarch on the daytime soap opera "Loving." But before she became Hollywood's go-to girl for class and elegance, Holm had made a name for herself on Broadway in very different roles -- as the original Ado Annie, the "Cain't Say No" girl in "Oklahoma," and the titular "Bloomer Girl" who defies convention by wearing pants. And sings about it. When Holm passed away July 15 at the age of 95, she had at least 24 Broadway shows, 25 films and 78 TV acting appearances on her resume. She won the Best Supporting Actress Oscar for 1947's "Gentleman's Agreement," and was nominated for that same award twice more, for her performance as a tennis-playing nun in "Come to the Stable" and as Margo Channing's snappy best friend Karen in "All About Eve." It seems odd that "Gentleman's Agreement" is the one that won her the Oscar, since she doesn't come on screen until the 34-minute mark, and she doesn't appear very often after that. Still, she jumps off the screen in her role as Anne Dettrey, a vivacious, sympathetic fashion editor, someone who immediately understands and gravitates toward Phil Green, the magazine writer played by Gregory Peck, who is pretending to be Jewish in order to write a story about anti-Semitism. Her character is much more appealing than Green's love interest, snobby, vapid Kathy, played by Dorothy McGuire. You find yourself wondering why Green is beating himself up about Kathy when he has a chance with luminous, lovely Anne, who is smart enough not to be a bigot from the get-go. Holm had a knack for giving her characters a special spark, a lively intelligence, and a wry sense of mischief that set her apart. That's especially true in "A Letter to Three Wives," where all she's working with is her voice. As the person who wrote the letter to the three wives (to tell them she has run off with one of their husbands), Holm narrates the film and supplies it with all kinds of personality and delicious humor, making her character the most interesting one in the whole shebang, even though we never see her. So far, nobody has announced any kind of marathon as a tribute to Ms. Holm, but somebody certainly should. In the meantime, you can make do with one of her last films, "Alchemy," airing on the Encore channel in the wee hours of the morning on July 23, or "Come to the Stables," the one about two feisty French nuns (Holm and Loretta Young) trying to set up a hospital for children, on Turner Classic Movies at 10 pm on July 25. She was also a great teller of stories about her life. Several of these were captured on video, and she made an LP about "Oklahoma!" which was mostly her telling its history, plus a couple of songs. Several of her best (I don't find them on YouTube at present) had to do with getting cast as Ado Annie (she had classical training and sang a Schubert song at her audition, and Rodgers asked her to throw that out and show them her hog-calling, which she did), getting conflicting advice just before opening about how to play the role, and being offered a run-of-play contract for her initial salary (she sweetly said no and held out for more, knowing her value to the show). Some of these are so polished and timed, you KNOW she told them hundreds of times and made them better each time, but who cares? she was a delight.